Inspire Hypnosis' MHS (Master Hypnotist Society) approved Professional Hypnotist Training is designed to provide students with the skill and knowledge to hypnotize with confidence. An exciting and fascinating introduction to hypnosis. Certificate of Completion provided at successful conclusion of course. Every graduate of Inspire Hypnosis' Professional Hypnosis Training receives the above certificate of completion. Inspire Hypnosis' Basic Hypnosis Training is the beginning of a new career as a professional hypnosis consultant. You learn and become competent in basic hypnosis processes and techniques. Everything from hypnotic inductions to understanding the unique language of hypnosis. The Basic Hypnosis Training is progressive in approach and comprehensive in content. It is designed to provide the student with the skill and knowledge to hypnotize with confidence and comfort. And prepares the student for more advanced hypnotic courses. 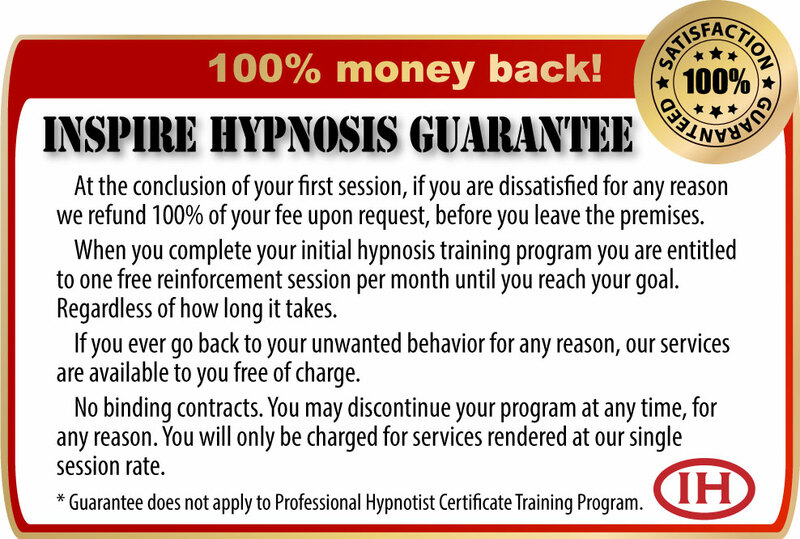 For many, Basic Hypnosis Training will be the first step toward a career in the high paid field of hypnosis. For others, the training is a revelation in personal growth and pursuit of a happier, more rewarding life. 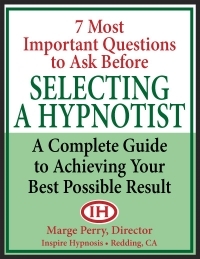 In both instances, your training is an exciting and fascinating introduction to hypnosis. Well worth your time and investment. A certificate of completion is awarded after successful completion of course. Call (530) 387-6644 for your free Professional Hypnotist Training interview. Courses available in private and class formats. Call now for schedule. Call now for more info and to reserve seating.